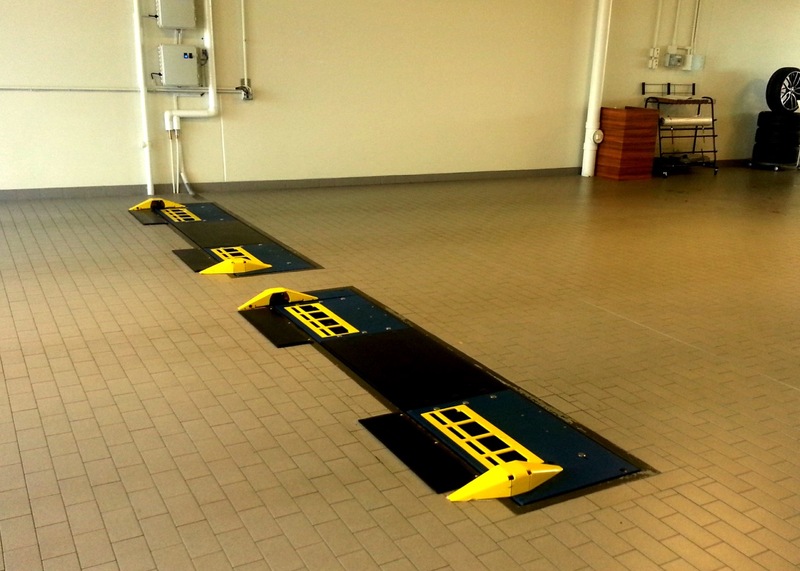 The future of tyre and alignment diagnostics is here! Groove glove is one of three hardware solutions that will help you sell more tyres and alignments, manage your business more easily and professionally communicate with your customers. All three hardware solutions including our two drive over solutions come with a cloud based software management suite which can also be integrated into your existing POS, eVHC and CRM systems. The award winning Groove Glove offers rapid recommendation for wheel alignment and tyre replacement. It does this by sending the collected tyre profile data to the cloud, where it is analyzed against over 120 tyre profile wear patterns. 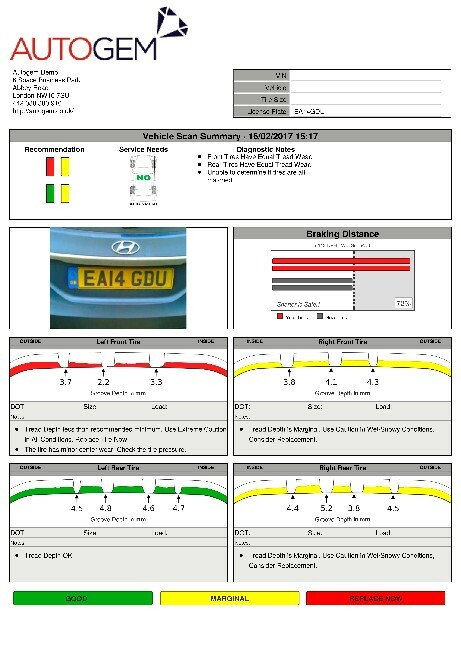 A report is then automatically sent to a printer describing the condition of the tyres and recommendations for each accordingly. The Glove is placed on the tyre so that the indicator guidance is well beyond the inside of the tread. Press and hold the two buttons on the sides (a scan buzzer is then emitted) and slide the glove to the outside of the tyre until the guide is outside the edge. Simply release the two buttons and the scan buzzer will stop. This completes the scanning of the tyre. Should you wish to add any particular notes relevant to the particular wheel scanned such as dot code / tyre size, this can be easily selected from the integrated touch screen. 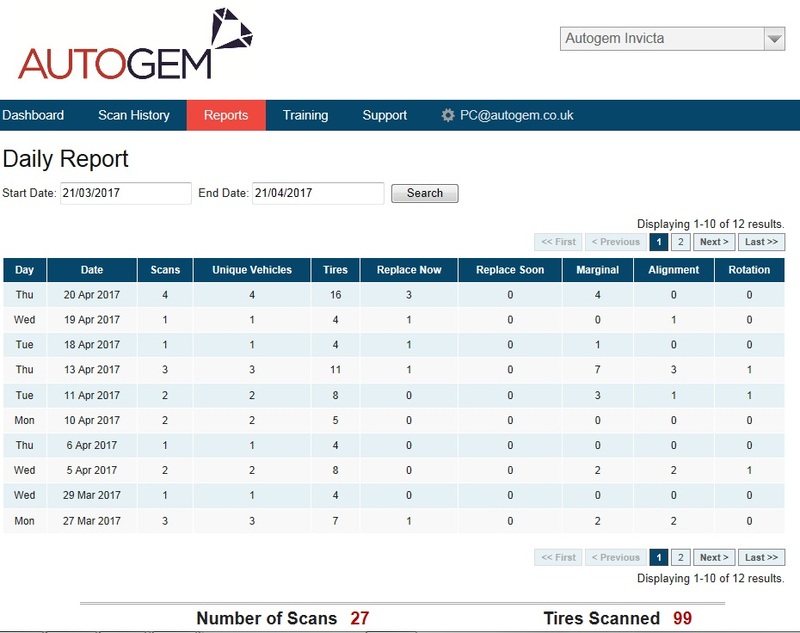 On completion of scanning all the tyres, simply press the submit button to send the collected data to the cloud, have it rapidly analysed and your report printed automatically. Groove glove has a built in camera unit which allows you to capture an image of the vehicle number plate. Sophisticated OCR software then lists the vehicle registration number on the treadspec report. Groove glove employs precision twin lasers married to an inertia pack containing accelerometers and gyroscopes. Together they allow for accurate scanning and also alert users of an errors in their scan process to ensure scans are done correctly. As a fully integrated device with it’s own touchscreen, there is no need for a separate device such as a tablet to operate it. Groove glove has been robustly designed to have no moving parts that require maintenance or calibration. An analysis and commentary for each wheel and includes commentary on alignment, over and under inflation of tyre pressure etc. Have multiple sites? You can view performance at individual sites with a super user login. We can also provide a series of automated email reports to hit your inbox at your specified frequency. Groove glove is already integrated with some leading POS (Point of Sale), CRM (customer relationship management) and eVHC (electronic vehicle health check) systems such as Tyresoft. Please contact us to check / request compatibility to your systems. To see systems integration in practice and the advantages it brings, please click on the video below. To watch the full presentation Data Gives You Wings, please click here. We asked some groove glove users a few questions about the tool. Watch senior management and technicians talk about their investment and user experience. The TreadSpec Service Drive is the only customer drive over system with no touch-no staff labor to get a complete tyre and alignment diagnostic. 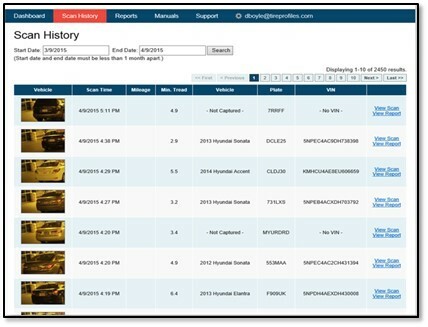 Your customers simply drive over when entering your service drive and the system does all the scanning for you. 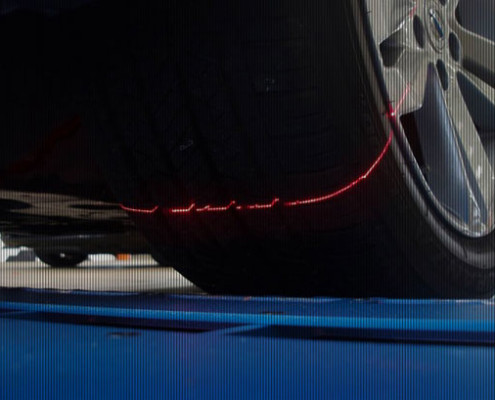 TreadSpec automatically captures tyre alignment and rotation diagnostics in one easy step. The customers simply drives over TreadSpec and the software does the rest. 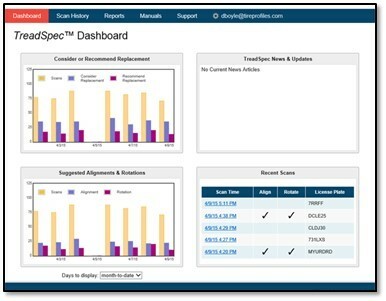 This allows TreadSpec to be easily integrated into your current service process and still provide the power of integration, reporting and data to predict when tyres will need replacement and or alignment. Tried and tested, 60 million tyres scanned and counting!